Since 1992, High Sierra Electronics, Inc. has been providing road weather monitoring solutions for the protection of lives and property. As a manufacturer and system integrator, HSE offers a robust, full-service road weather monitoring solution to its customers. Services we provide include system design, site surveys, equipment supply, installation, commissioning, maintenance, training, and environmental monitoring software. 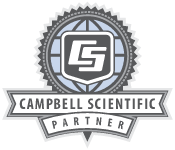 HSE has harnessed the latest in Campbell Scientific’s datalogger and sensor technology to provide an advanced Road Weather Information System (RWIS) solution with the future in mind. Many value-added features are integrated into HSE’s line of RWIS dataloggers to provide a full-featured and robust RWIS solution from end to end. HSE has a long-standing reputation for business integrity, engineering expertise, product reliability, and professional service. Our customers know they can rely on our commitment to provide solutions that support them in their mission.